The Oxford Companion to the Economics of Africa edited by Shanta Devarajan et. al. Africa has been the focus of many economic development initiatives and the subject of numerous studies aimed towards accelerating the pace of economic growth across the continent. The Oxford Companion to the Economics of Africa brings together a broad spectrum of current experience and analysis in a definitive and comprehensive review of the principal issues affecting present and future development policies. Drawing upon the experience and perspectives of leading economists in Africa and around the world, this collection of 100 articles brings together 48 country-specific studies alongside 53 thematic chapters written by experts in the field. This collection of essays provides a comprehensive assessment of the achievements realized by development policies in Africa, while also acknowledging the challenges, within the context of a highly diverse range of circumstances that exist in the countries and regions represented. 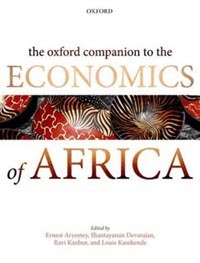 The Oxford Companion to the Economics of Africa captures this diversity by comparing many of the common opportunities and challenges experienced by African countries, and examines how the outcomes of economic policies are affected by the differences in resources, geography, and culture. By rejecting a "one size fits all" approach, the authors share the belief that to achieve optimal results, policies must address the specific situation existing in each country, since past experience has shown that programmes which are effective in one country are rarely as effective in another. Yet there are identifiable themes that emerge Africa-wide which are likely to have a significant impact on development policies aimed towards the future. These themes centre around: the extent to which African countries should engage in the world economy and with other African economies; the ability to translate economic gains into poverty reduction and human development; building effective and responsive institutions that are representative of the population as a whole; implementing economic policies that help to mitigate conflicts when and where they are needed; and, the continued investment in human and social capital to build resilience to economic shocks brought about by climate change. 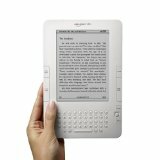 The Oxford Companion to the Economics of Africa encompasses current insights into economic development that will enable modern African nations to achieve the ambitions of the Millennium Development Goals. Through closer integration with the world economy, African nations are poised to realize the benefits of a balanced, multi-dimensional development approach in the areas of trade, investment, capital flows, and technology. There is much to learn from these essays written by bright young African researchers, together with those by renowned academics, chief economists at development institutions, central bank governors and finance ministers, and four Nobel laureates. A clear priority emerges from this compendium to continue the structural reforms begun during the past three decades, by tailoring those reforms towards policies that are most effective in promoting growth within each specific country, and by promoting transparency and consistency within public institutions in order to reach those populations that are most in need.